At the end of the NCAA basketball season, some Chapel Hill residents feel like there aren’t any sports left to watch. College football isn’t until August, and the college basketball season is on its break. So, until the fall, it seems professional sports and post-season reviews are the only sources of sports entertainment. But this isn’t actually the case. At UNC, there are 28 women’s and men’s Division I varsity sports, which means there are sports going on all season long that receive little attention. Although the school year is over, the UNC baseball, softball, lacrosse, tennis and track and field teams are still competing. Despite this, many UNC fans are already looking ahead to future basketball and football seasons. While UNC basketball’s six national championship wins are still an accomplishment, the university’s women’s soccer team holds 22 championships; the team won titles every year but two from 1982 to 2000. The other teams, regardless of their success, usually have low attendance and little recognition when compared to the basketball teams. The players of other sports also don’t get celebrity status. While each athlete commits to a D1 school for a varsity sport, usually only the basketball and football players get national media attention. When UNC baseball won the ACC Championship, many news outlets chose to write about it, but for every baseball article, there are probably ten concerning UNC basketball draft picks, coaching changes, recruits, retiring jerseys and every single aspect of the sport. In addition to the attention that football and basketball garner, they also bring in more revenue. In 2015, Forbes reported that the average price for the year’s UNC-Duke basketball game was $1,930. That’s nearly two thousand dollars for a single basketball game. In contrast, you can attend this season’s UNC-Duke rivalry baseball games (May 18-20) for as low as $13.50, less than the price of a Silverspot movie. While the divide isn’t quite as clear in high school, similar trends still appear. At Carrboro, most of the attention goes to the football team. The games are more expensive, there’s a theme for each game and there’s an entire C-Town section. Almost every Friday night the bleachers are full and the crowds cheer. Most other sports at Carrboro gain attention from only the most devoted fans, and then parents and siblings. Only when a team makes it to the playoffs does it garner the attention that the football team has all season long. This trend extends beyond North Carolina. Similar to UNC, the UCLA basketball program holds an impressive 11 national championship wins, including a reign in the 1960s and 1970s. But UCLA’s Men’s Tennis and Volleyball have 16 and 19 respectively, and Softball also has 11. It’s difficult to determine why this happens. It might be because of the money devoted to each team and how it’s spent. Some people believe that this change is a result of the media coverage that each team gets. The problem still persists today and while there have been many proposed solutions, there will be many more until the problem is resolved. On December 14, 2016 I got rejected from my top choice for college. Out of all the universities in the country, I picked the one for me, and they didn’t want me. This was hard to process for a number of reasons, especially since two of my friends had both gotten into their top schools. We had spent months freaking out and stalking every website with an ounce of information, willing the decisions to come. The same friends who I almost cried with when we heard that applications were at a record high, got in. But I didn’t. When you find your school, it’s hard not to become obsessed and overwhelmed with anticipation. In doing my research, I found their course catalog online, and I toured the school, so I knew all about the school traditions and places to eat on campus. I followed their Instagram, Snapchat and checked the school paper every day. Lastly, I found the forum for early applicants, which became my safe place until decision day. The night when decisions were released, I decided that I wasn’t going to check until I was safe in my bed. In an effort not to become more anxious, I had unfollowed them on Instagram, blocked the college forum and turned off email notifications. I didn’t want to know that the decisions had come until I was able to check. But I forgot Snapchat. I was scrolling through my stories when I saw “Congratulations Class of 2021!” and I knew that my decision was out. All I remember about that night is crying. I told my dad and my sister, but I didn’t know how to function. I couldn’t accept that it wasn’t going to happen; I wasn’t going to the college of my dreams. The next few days were hard. I broke the news to the rest of my friends and family, and learned to say I was fine, and fake a smile at the words “It’s the school’s loss” over and over again. December 14 is still as clear as day, but after that, things went back to normal. Looking back, the quick return to normalcy surprises me because I thought I wouldn’t be happy anywhere else. As I started to hear other opinions, I learned that the school I thought was the only place for me simply wasn’t. The more I talked to people with connections there, the more I realized that I had talked it up so much in my head. My dream college was more of an unrealistic idea than a place where I could have actually studied and lived. Your story won’t be exactly the same as mine, but looking back, I learned from personal experience that everything is going to be okay in the end. If you get rejected from a college, there will probably be a time where you think there are no other options, but I promise you, there are. You will find the right school, gap year program or the next steps in your life, and you’ll be happy. I’m not saying it’s going to be easy. I’ll be the first to admit; I still cringe a little when I see someone wearing the school’s sweatshirt, and I have a shirt of my own, still laying in the corner of my closet. The other day, I saw that their basketball team lost, and it made me smile just a little bit. I’ll always remember it as the school that didn’t want me even though to them, I’m just one more forgettable, rejected applicant. But I’ve moved on. I haven’t found my place, but there’s one that’s right for me, and I’ll have experiences far better and more memorable than one bitter college rejection. Everyone of you will find your place, and I can’t wait to see where that is. 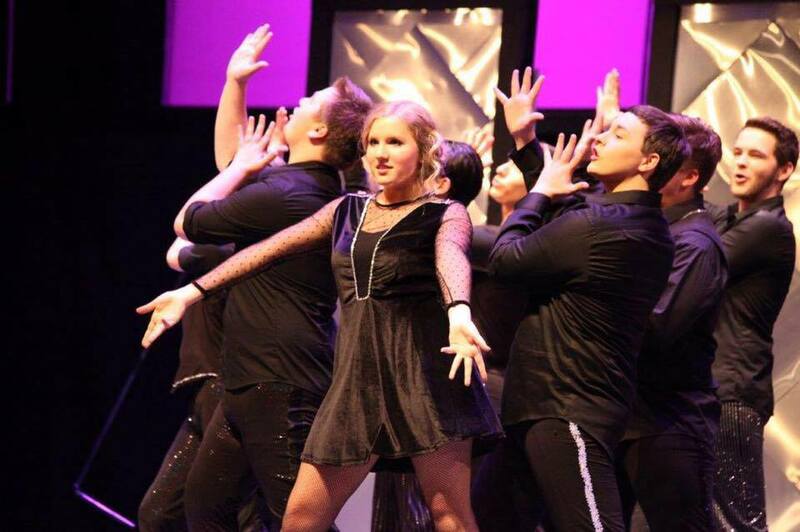 Tech week: the week leading up to a theatre production, in which the set, lights, sound, costumes, makeup, hair and more come together to complete the show. Putting it all together, however, doesn’t necessarily come easily. Each day during Carrboro tech week, students stay five or six hours after school, with schedules consisting of a full run of the show, a run of transitions and problem scenes and a dinner break. During this week, the show becomes a final production, bringing together every aspect that was formed individually: namely actors and tech, as well as pit, if it’s a musical. While it’s ideal that each aspect, formed mostly independent of one another, will be right on cue, that’s never the case. In the last week, combining every individual element takes countless hours. “We’re definitely pretty good at managing tech week, but for some parts, there’s just no working around it,” said junior Grace Cohen, the current assistant technical director for Carrboro productions. Carrboro’s current musical, Cinderella, will be performed in mid-March. Putting the production together started in January. Two months may seem like a long time, but for all the work that needs to be done to have a complete show, the time always feels too short for those involved. “People don’t realize, especially because it’s a high school show, how much we do, and to what caliber we’re doing things. People don’t realize the high professional standard that we’re held to here,” said Cohen. In addition to all the prep that goes on, students involved must also keep up with their primary responsibility to school. “We’re doing this, but we’re also still students,” said junior Graham Emmett, lighting designer. Sometimes, actors get breaks when they’re offstage to work on homework, but pit and tech are working nearly all the time. Without these breaks, and with all of the schoolwork as the year draws close, tech week can be a challenging and stressful time. 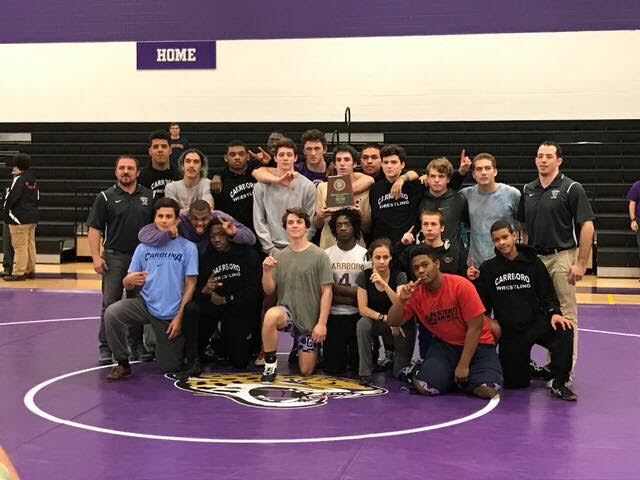 On February 18, the CHS wrestling season came to a close, marking the end of a successful season for the entire Jaguar team. The season culminated with a victory at the 2A State Championship. Winning states was preceded by a hard-fought victory at Regionals. On February 2, the team competed and won against Wheatmore High School. Senior Emmanuel O’Quaye, completing his second full season due to injuries in his freshman and junior years, commented on the effort that he and his teammates had to put forth in order to succeed. “You get what you give. When you’re on the mat it’s just you and the person you’re competing against,” said O’Quaye. After the victory at Wheatmore, the team geared up to wrestle in the team state championship. Before the competition, however, the team went to the dual-team state championship, where they lost 32-28 to Newton Conover City School. Ultimately, however, Newton Conover gave up the title when it was discovered that they used an academically ineligible wrestler. CHS didn’t let the loss get them down, however, and got right back to work preparing for the team state championship two weeks later. That work was clearly evident by the season’s end. David Veltri, junior, described the atmosphere and mood heading into the final test of the season. “States was fun. We showed up there trying to show the whole state that we’re the best team,” said Veltri. Coach DeWitt Driscoll has been an integral part in the team’s success this year. In an interview, he spoke about the reasons for CHS’s success. The season is over, and the seniors who finished their last wrestling season at CHS are proud of their accomplishments. “These past years on the team have been great and definitely shaped me to be the person I am today,” said senior Curtis Selby, who took on a leadership role this season. For Selby and other seniors, the win is bittersweet. “I will definitely miss wrestling. These past years have been the greatest moments of my life,” said Selby. Over the most recent NFL season, there have been an increasing number of concerns about concussions. Specifically, the NFL’s lack of a proper concussion protocol, and failure to properly protect their players. Early this season, Carolina Panthers quarterback Cam Newton made headlines after players tackled him in multiple games in ways that both experts and fans believed the team should have been penalized for, but they weren’t. During the Panthers’ week 12 game against the Oakland Raiders, one of the players was finally called for “roughing the passer,” meaning that the player tackled Newton after the ball was released from his hands. This call was the first “roughing the passer” since 2014. 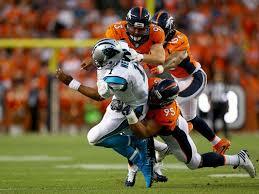 The call was made, but not Newton missed three weeks earlier in the season due to a concussion from similar hits. With so much news concerning concussions in professional football, footballs fans were left curious about concussion policies at the local level. As a high school, is Carrboro experiencing the same problems? How does CHS policy compare, and how effective is it at protecting players? According to CHS Athletic Trainer Matt Dorn, North Carolina must conduct its concussion protocol in accordance with the Gfeller-Waller Law passed four years ago. “If anyone is suspected of having a concussion, whether it occurs during an athletic event, on campus or outside of school, then by law, there are certain requirements they have to do before they are allowed to participate in activities,” said Dorn.. These “requirements” begin with lots of paperwork, including a doctor-determined revised schedule for schools, based on what activities the athlete is allowed to do. This could include anything from allowing athletes returning from a concussion to enter school with only half days restricting computer time or giving the student extra time for assignments. Furthermore, students are often required to sit out from any physical education classes, and even on some occasions, band or chorus classes due to the risk of migraines in a course producing too much noise. After receiving a date to return, athletes are not allowed to return to the field right away due to a five-day “return-to-play protocol” that all students must complete before returning to their sport. “We’re just trying to do a little exercising and see if any of your symptoms come back,” said Dorn. Day one is walking for thirty minutes. Day two consists of twenty-five minutes of jogging, and some light weightlifting. Day three is running for twenty minutes and then heavier weights. Day four is a non-contact practice, and day five is when athletes can participate in a full practice. Additionally, the school contacts the doctor after day four, and an athlete’s parents after day five to make sure there are no problems. If any problems do arise throughout the week, it’s back to day three after another twenty-four hour waiting period. Speaking on the difference between the NFL and high school football, “There’s not a huge difference, at least not in this state. The big difference is the resources that are available,” said Dorn. The largest differences come in terms of resources, noting that in college football, there’s a position called a concussion spotter. This position places a medical professional in the press box above the field, where they are able to observe players from a different point of view, and advise coaches and medical staff to remove a player from the game, if they believe that the player may have a concussion. The concussion protocol in high school versus the collegiate and professional levels are also different, and Dorn mentioned two factors that may affect the protocol. The first of which, was the age of the players. At the high school level, students brains are still developing. “An adult can have a concussion and look like they just got off a 24 hour IDK and the next day be fine, whereas a child or adolescent may have a concussion where at worst they feel light headed and dizzy and that’s it, and they feel the same way two and a half weeks later,” said Dorn. In this way, it makes sense that the NFL doesn’t have the same five day return to play policy as high schools do, they only have to be cleared by the team doctor. The second thing that comes into play at the collegiate and NFL levels is money. At those levels, a loss of a game can mean losing the team millions of dollars, not just a loss in terms of the season record. “At the high school level, our number one priority is our players safety,” said Dorn. “I don’t care if we win as long as the kids are safe.” In contrast, he says “especially at the D1 collegiate level and the professional level, the amount of money that runs through those organizations really changes things.” Indicating that safety is not the only concern, and may not be the first. Recently, Jordan Owen, a sophomore at the University of Wisconsin-Madison and member of Carrboro class of 2015, had the opportunity to go with a group of students to the site of the North Dakota Access Pipeline project. The project itself is a 1,200 mile pipeline being built from ND to Illinois, with the goal of transferring crude oil to the East coast. The project is currently on hold, however, because of ongoing protests from the Standing Rock Sioux Tribe and their allies. These “protectors” are occupying an area of the pipeline construction in ND, saying that the pipeline will pollute their water source, the Missouri River, and that it would go through the tribe’s sacred burial grounds. Jordan Owen spoke to Mr. Cone’s class and shared her thoughts, and the Jagwire staff talked to her separately. 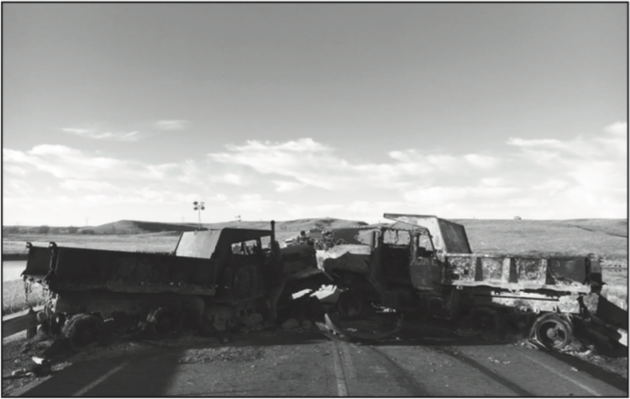 How did you get the opportunity to go [to Standing Rock]? 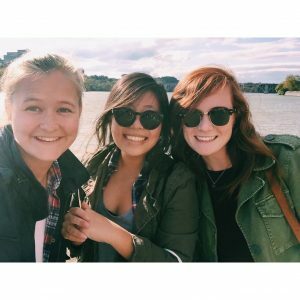 I’m a diversity inclusion facilitator at UW-Madison, and one of my fellow facil- itators is the American Indian Community Campus Liaison. She emailed the group and mentioned that there was a spot left in the car. I felt it was too important an opportunity for true education and activism to pass up. What do you think you accomplished while you were at Standing Rock? We talked to a lot of people. Because mainstream media hasn’t been there, there haven’t been a lot of individuals who have been interviewed and been able to share their stories, other than through their own social media. Us going there, [we were] able to ask people what it has been like, what they wanted to tell to the world and gave them a channel for that. How has your point of view changed on activism and specifically this issue? I tried to go into Standing Rock with a completely blank mind, absent of main- stream conceptions of who Natives are, which, of course, was not entirely possi- ble. Once there, it was easier to interact with people as individuals rather than as the group the white majority assigns them. As for activism, I don’t like the notion of wanting to “save the world” that I personally entered with. The culture of activism as a whole is problematic to me. It is now permissible for people to champion a cause for a short period on social media, neither taking the time to do back- ground research to understand the root causes nor committing to the long run. Two thousand and seven: the year Steve Jobs released the first iPhone, J.K. Rowling published the final installment of the Harry Potter series, Harry Potter and the Deathly Hallows, Barack Obama announced his candidacy for President (and became a household name) and the chart-topping song was Umbrella by Rihanna. As people prepared for the last Harry Potter book, or the newest technology, a handful of students in Carrboro and Chapel Hill prepared for their first day of a new school. In August of 2007, Carrboro High School opened its doors for the first time, welcoming a class of freshman and sophomores from Chapel Hill High. 2007 seems like a different world, but it wasn’t even ten years ago. As we come up on Carrboro’s tenth anniversary, we spoke with some of the first Carrboro graduates (class of 2010-2011) to see what they had to say about their experiences at CHS. Currently: Working as a teacher assistant at a elementary school during the day and attending classes at NC State at night. 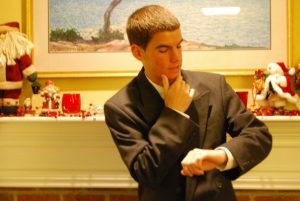 Adam Glasser in High School before T Dance. Photo courtesy Adam Glasser. What were some of your favorite memories from your time at Carrboro? The pranks we pulled my senior year were memorable. Three of my buddies inadvertently set fire to the grass behind the school while setting off fireworks. This should be part of Carrboro history forever in my opinion. During senior week, we filled up what must have been thousands of cups full of water and covered the halls with them. The next morning, the seniors had to clean up the cups, which was probably a mistake on the administration’s part because we ended up sending waves of water into various math classrooms. Now that I am working at a school, I want to apologize for these shenanigans on behalf of the Class of 2011! What are some defining characteristics of Carrboro? I love how tight knit Carrboro was when I was a student there. I think I knew just about every face in the school (and almost every name). When I was living in San Francisco this past year, I went to the Bay Area’s “Official UNC vs. Duke Game Watch Party”. I recognized four other Jaguars that were at Carrboro with me when I was in high school. Even though we had graduated in different years, it was great catching up with them and bonding with them over our experiences as Carrboro students. Currently: Working for the legislative and public policy group at Arnold & Porter, a law firm in DC. 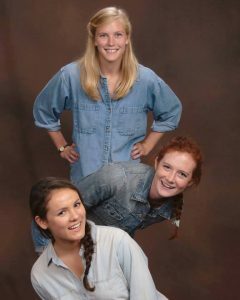 Anna Noone (middle) in high school. Photo courtesy Anna Noone. I don’t know if they still do or allow this, but our class council had a lot of school lock ins and those were always so much fun. AP Bio (weird as this sounds) was another favorite. Before my junior year I took a trip to Spain with a group from the school which was amazing. Just generally though most of my best friends are my high school friends – so most of the time I spent there was great. Anna Noone (right) this year with friends. Photo courtesy Anna Noone. How do you think your time at Carrboro has influenced you today? I did not realize while I was at Carrboro how important it was to have such an open, inclusive community that really rejected a lot of the types of prejudice you see in other similar schools. I found it to be very accepting but thought that was the norm until I spoke with people who had had very different experiences in high school, with more racism or homophobia or exclusive cliques. I think it made me a more confident person and more comfortable with myself than I may otherwise have been. Definitely don’t take that for granted. Do you have any advice for this year’s graduating class, going through their senior year of high school right now? Don’t take it for granted. Senior year has the potential to be so much fun, but at the same time don’t go too crazy. Don’t stress too much about college; Carrboro High does about as good a job of preparing you for college as you can do. Take your AP exams seriously – you’ll love getting placed out of gen eds in college. It’s never too early to start planning ahead. Currently: Moving back from a year in Paris and relocating to California, where she’s studying to become a French teacher at Stanford. 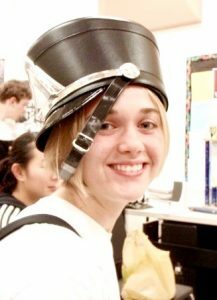 Abby Denison in a marching band outfit in high school. Photo courtesy Abby Denison. What strikes me about Carrboro looking back is how much freedom we had. So many of the organizations, initiatives, and special events were nearly entirely student-run—it was a little like Lord of the Flies, except with really happy and positive outcomes. (So, I guess, not at all like Lord of the Flies…) It felt like we were really self-governed and self-directed. Because the school was new, students could start anything and everything. Really, nothing was impossible! And we had teachers who trusted us, cared about us, and encouraged us to dream big. Carrboro was also a place of community action, where students and teachers alike were passionate about social causes, political reform, and big ideas. Pretty cool for a high school! This, I know, hasn’t changed, and is part of the core of what Carrboro is. I hope that the community holds onto this; it has the power to be truly transformative for the students that pass through here. 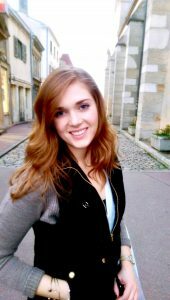 Abby Denison in Paris this year. Photo courtesy Abby Denison. I was a late bloomer for sure, and Carrboro was such a safe and welcoming space for me to learn who I was. It was a place where it was cool to be nerdy, where everybody knew everybody, and where we really loved to learn and debate and create. Now that I’m becoming a teacher myself, I realize how special this is! Carrboro introduced me to so many fantastic role models and new ideas…the teachers really, sincerely believed in our potential as a generation. Their encouragement gave me the confidence to take risks and try new things, and I think that’s carried me into college and beyond. 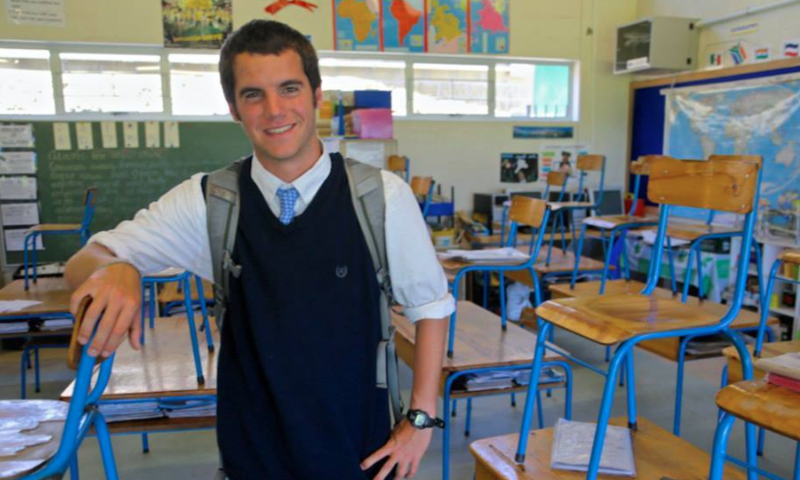 Top photo: Adam Glasser at a school in Capetown, South Africa this year. Photo courtesy Adam Glasser. Plot line: It’s the year 1600. Two characters, young Lysander and Hermia, are madly in love with plans to get married, but they can’t. Hermia’s father wants Hermia to marry Demetrius. But Demetrius can’t marry Hermia, because he has to go fight in World War II. Doesn’t sound quite right? It’s not. Carrboro High School’s A Midsummer Night’s Dream, by William Shakespeare will be performed in November with the original script, but a 1940’s setting and theme. The plot in Midsummer Night’s Dream is as follows: Lysander and Hermia, are planning to get married, but their plans are foiled by Hermia’s father who wants her to marry Demetrius. Demetrius is also in love with Hermia, but Hermia is in love with Lysander. And in addition, Helena is in love with Demetrius. Throughout the story, everyone’s plans are a little ruined when Puck, the fairy king, comes and causes trouble with the help of a few love potions. In addition to all of this a small troupe of actors is struggling to put on a decent performance of a show. In addition to the challenges of memorizing lines and blocking that come with any theater production, interpreting a Shakespearean play is no easy feat. “It’s a very foreign way of speaking, so i sometimes have trouble understanding what things mean” said senior Daniel O’Grady.